Calcite is one of the common gemstones in the world, which is abundant in nature, comprising 4% of total minerals. 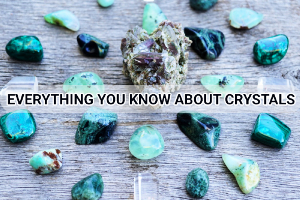 These prismatic crystals are found in the little deposits and smudges, which are in the form of Granite and Limestone. An alternate name for Calcite stones is Optical Calcite or Iceland spar or Iceland crystals. The optical calcite crystals have an extraordinary ability to origin images, which are probably doubled image refraction, whenever a person looks through the stone. This rare mineral is an unusual form of cancrinite, which is used to make discrete layers. A mineral of constrained amount, cancrinite is formed in the Earth’s crust under the great pressure. It is considered as a powerful amplifier and cleanser which contain numerous types of energies. However, calcite is believed to be the most complicated mineral to be cut, due to its ideal cleavage that is in 3 different directions. Calcite crystals embrace centering and grounding properties, which makes them a stone of reconciliation. It can revolutionize arguments between partners, and helps them in preserving balance into their relationship. Calcite crystals are said to be excellent for back pain, teeth, and eyes, and for increasing physical strength. Generally, these stones work as an antiseptic agent during the process of detoxifying. An ointment which consist of fat and ground calcite can be used to cure itching, irritated or reddened skin. The larger content of calcium in calcite helps its wearer in treating bone disorders. It also helps in the formation of bones into the wearer’s body. This stone can be found in numerous colors like orange, blue, green, citrine calcite and manganese calcite. Hence, the healing properties of calcite depend on its color. Body fluids can be cured with white or pink colored manganese calcite. Similarly, green colored calcite is excellent for the heart; on the other hand, reddish-brown calcite is good for metabolism. Calcite is considered as a stone, which can be used for treating all conditions, especially emotional and mental conditions. This transparent crystal symbolizes inner illumination and mental development; hence it encourages growth in the body of the wearer, especially children or the ones who are innocent by heart. Calcite is well known for its ability to increase and strengthening energy. Therefore, this eminence of calcite makes it a tremendous stone for distance healing. It is believed that calcite stones are very good in amplifying learning abilities, thus it is a great stone for students. It is said that these pure crystal increases prosperity and can be helpful in escalating intuition, which helps its wearer to find a better solution for any difficult condition. There are numerous varieties of calcite stones, which exist in the world, and all of them are helpful in attenuation of fear and reducing stress. In the human system, calcite is considered a premier cleanser, which fights against all negative energies. Purifying stone is one of the names of this translucent crystal that is used to clear negativity in the environment. Optical calcite is mainly best for bringing hope against apprehensive or stressful situations. Calcite is believed to be the stone of spirituality and wisdom which helps it’s wearer to connect with the spiritual energies that exist in the world. This apparent stone is considered as centering or grounding stone, which helps in fetching inner harmony for the wearer. It promotes creativity and imagination, thus it is believed that it brings vibrant inner peace for its wearer. Calcite occurs in various colors and it can be used to stimulate and balance various chakras, which perfectly depends on the color of the stone. Clear calcite is believed to activate and balance all the chakras for its wearer. However, blue calcite can be used to open the Throat Chakra and it is an excellent healer of psychic ability and astral travel. Green and pink calcites are believed to stimulate Heart Chakra, and balance all the emotions of heart. While, reddish-brown calcite crystals are used to activate Solar Plexus, which helps its wearer in persistence and increasing intellectual power. A color variety of Calcite gemstone i.e. green calcite is related with Capricorn sign. Calcite can be found in the numerous locations throughout the world. Green colored calcite work tremendously for balancing emotions and alleviating stress. The word “Calcite” comes from the Latin word calx, which is also related with the Greek word chalix that meant lime. These stones are extensively used as the raw material for quicklime and cement. The calcite stone plays an important role in manufacturing glass and steel. This splendid mineral is one of the forms of calcium carbonate, which is identical to aragonite chemically. The major difference between these minerals is their shape and size. Mostly aragonite comprises orthorhombic shape while calcium matches with a hexagonal outline. Calcite occurs in the abundant group of minerals, in its purest form with excellent transparency. On the other hand, one of the excellent qualities of calcite is its ability of doubled image refraction. Moreover, this gemstone encompasses the larger part of limestones and marbles that may come up in a wide variety of shapes and sizes. It is hydrated calcium carbonate, physically which is very soft. The color of calcite comes with a mineral addition to the composite and it has more than 1000 surface combinations. On the Moh’s scale of hardness, Calcite measures 3, which is below than the average. The composite of Calcite stone is similar to numerous organic stones such as pearl, coral and amber. This apparent stone can be found in a variety of colors and forms including yellow, orange, pink, brown, green and blue. But frequently it occurs in translucent form. 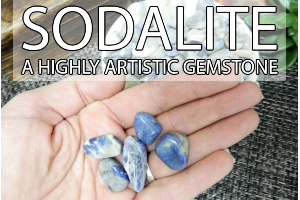 Sodalite is a powerful gemstone that helps open the mind towards objectivity and creativity. Calcite acts as a cleanser which cleans the surrounding by removing the negative vibrations. It brings hope in the wearer so that he may live without any stress in difficult situations also. My friend is also facing similar circumstances. I think I should gift this charm to her. Should I move further? Please suggest. In this case the talisman should match with the Zodiac of the wearer. So, be sure about that first and then move further accordingly. You may try one of your choice or simply may ask your astrologer...why don't you ask Jewelexi as they have launched a new page, "Ask Mitten" in which you may ask free question..you should try it.. Thanks Jack for recommending me. I will go for it. This service of Jewelexi is quite popular. I have heard earlier too. But now I will try it out. Thanks once again. Calcite is helpful when you are learning new concepts, as they aid you to adjust your thinking in order that you can make these new concepts part of your future life. Thank you jewelexi fofr the apt info. The beauty of this stone is its color and shine. I gonna buy it soon.